Are you going to give a speech or a presentation? This is often an important moment which can have a major impact on your career. How do you make sure you stand out from other speakers? Speak to Inspire helps you to tell your story using your own strengths while connecting with the audience. The key is to grab the audience’s attention, induce an emotion, and to inspire them. We believe there is only one way to learn how to speak: by doing it. Our trainers use a broad range of writing exercises, theatre and role playing exercises that will be recorded and reviewed. We use an objective method to make, present and evaluate the speeches. Speak to Inspire combines expertise in speech writing with theatre and comedy. Huib Hudig wrote speeches for Dutch politicians like Mark Rutte and Piet Hein Donner. David was speech writer for former Mayor of Amsterdam Eberhard van der Laan. Rutger Mollee, Simon Groen, Maurits Koster and Milou Dijkman are experienced presentation coaches and moderators that know exactly how to improve your public speaking skills. An inspiring presentation depends on both content and delivery. We help you to build your presentation as an exciting story. Speak to Inspire helps participants to improve the way they use their voice, their posture and in making contact with the audience. Equally important is knowing how to stand on stage with the attitude of giving your audience a present. Speak to Inspire believes there is only one way to learn how to speak: by doing it. Our trainers use a broad range of writing exercises, theatre and role playing exercises that will be recorded and reviewed. We use an objective method to make, present and evaluate the speeches. TRAINING Speak to Inspire organises group training sessions about public speaking, both in-company and by open registration. We also create tailor-made programs and provide short inspiration sessions, such as business retreats for managers. COACHING We off er one-to-one coaching sessions in order to develop skills or rehearse a specific presentation like a TED-talk or a pitch for an important client. WRITING We write and edit texts, for example for a politician who has to give an important speech or a director who has to address his or her employees. VISUAL SUPPORT Speak to Inspire also provides visual support to reinforce your message, for example by means of PowerPoint, Prezi of video. Huib Hudig (1973) is a presentation coach, author of Het Speechboekje and former speechwriter for politicians such as Dutch Prime Minister Mark Rutte. He writes articles for NRC (Next) and regularly appears on radio (BNR, Radio 1) and television (P&W, WNL) to discuss important speeches. 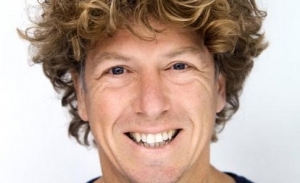 Rutger Mollee (1970) is a presentation coach, conference moderator and comedian. He helps people to give better presentations – especially concerning their preparations, making contact with the audience and dealing with nerves. Milou Dijkman (1976) is speech and presentation coach. Due to her many years of expierence as a lawyer and speech writer she is able to quickly get down to a thorough analysis of the issue, and she helps others to give a clear and inspiring presentation. 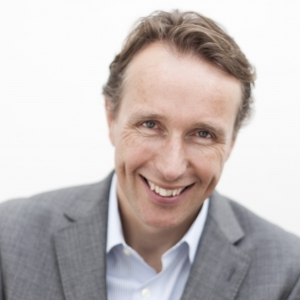 Maurits Koster (1968) is an entrepreneur, presenter, trainer and theater maker. During his training and coaching he combines the presentation practice with his business skills & experience. Maurits is also a certified mindfulness trainer and learns participants to present in the present moment. 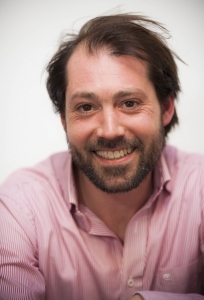 David van der Meulen (1978) is a speechwriter, copywriter and entrepreneur. David was speechwriter for the Mayor of Amsterdam Eberhard van der Laan for four years. David has great expertise in and love for: the story. He helps people and companies to tell their story convincingly. We also work together with a group of experts such as our Chief Storyteller, voice coaches, media trainers and PowerPoint experts. Our clients come from all areas of the business world, government and politics: from stammerer to CEO, from beginner to expert. We help you to bring across an inspiring story, but also how to overcome nerves and answer diffi cult questions. With assistance from Speak to Inspire, you will take the stage confi dently, being capable of emotionally touching the audience and inspiring them. Questions? Please contact us at info@speaktoinspire.nl or call +31 20 4204068.